Our algorithm allows us to accurately rate the strength of an event based upon the handicaps of the participants. Together with the TOP BONUS points, EGR is able to gauge events regardless of age category. Top Bonus rewards tournaments based upon the strength of its field. The bonus is calculated for players in the top 250 of the World Amateur Golf Rankings. We add approximately 10% of the “Average Points” to the total points of the event. Points for Match Play events will be award in the same manner as for Stroke Play events. Places within the respective rounds will be determined by the player’s qualifying score. This gives a real added value to the qualifying score. 50% of the field will be paid with odd numbers rounded down. The winner receives 100% of the points. The points distribution table is adjusted based upon the size of the field. A bonus of 2.5% of the total purse is awarded to all players making the cut. There is also a bonus of 2.5% for the low round daily and ties. We only rank tournaments taking place in a country that is a member of the European Golf Association. Our rankings period is a 52 week roaming calendar. We rate players in various age groups ranging from Open to 12 and under. As a player’s age increases, his points carry over into the next age group. For the past 25 years, Ted has been one of Europe‘s top golf coaches and has produced some of Europe‘s finest young players. His students have played on Junior Ryder Cup, Jacques Leglise Trophy, Bonallack Trophy, St. Andrews Trophy and Palmer Cup teams. His players have won many German National Championships, international titles to include a European Amateur Championship. Ted‘s students have also gone on to play on the European Tour. In 2007, Ted was honored with Teacher of the Year (Junior Golf) by the PGA of Germany. In 2014 and 2017, he was honored as Teacher of the Year by the PGA of Germany. 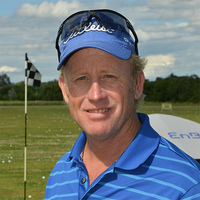 He has a degree in Computer Science from West Virginia University and is a member of the PGA of America and PGA of Germany. Prior to turning professional, Ted worked as a Systems Analyst for the United States Army European Command in Heidelberg, Germany where he developed Command and Control Information Systems. Gunar joined EGR in 2014. He has a Masters Degree in Controlling and has played a vital roll in the optimisation of our data flow processes. He has taken over the responsibility of event and data management, as well as the communication between EGR and the respective international Golf Federations. 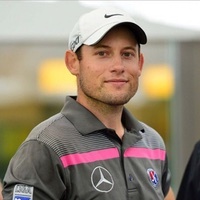 Gunar is one of Germany’s top ranked amateurs and captained the Mannheim-Viernheim Seahawks Men’s Golf Team to the 2014 National Championships.